The Dock Stool is the perfect way to cool off on hot days! The product is a seat that can attach to the side of your dock, allowing you to be in control of just how cooled off you want to get. The Dock Stool is custom designed, made from 100% stainless steel and sand-blasted to create a satin finish look. This allows the Dock Stool to stand up to any harsh environmental elements it may be exposed to. With the ability to withstand any weather, the product will never rust ensuring that it will remain enjoyable for many years. 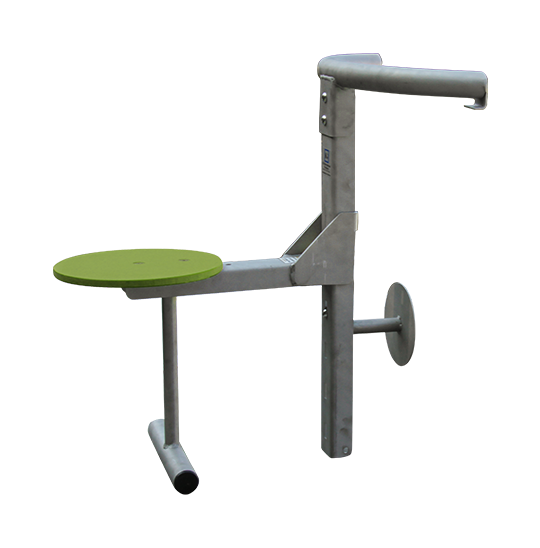 The seat is made of durable plastic and is available in three vibrant colours – red, orange and lime green. The bright colours allow for the seats to be easily seen under water and the added foot rest allows for both the ease and comfort of use. 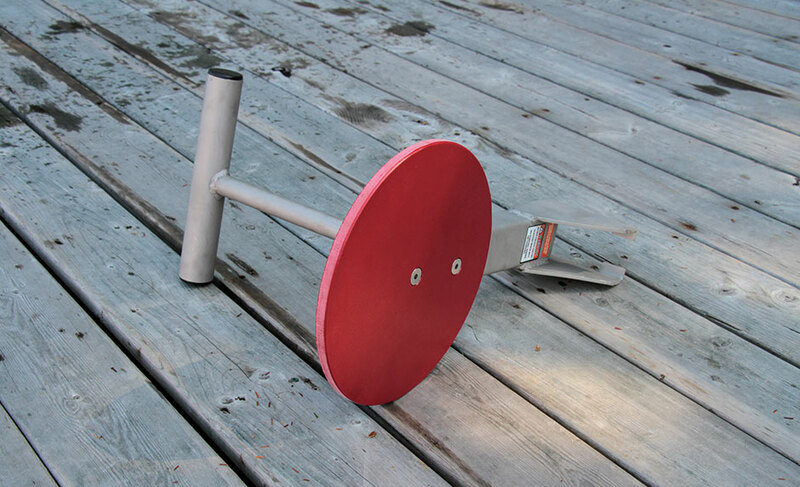 The Dock Stool is designed with a quick attach feature that makes it fast and easy to attach to your dock, move it to different locations and remove it. During the off season, the Dock Stool effortlessly folds for easy storage for your convenience. With simple installation instructions and the ability to adjust the seat to different heights, the Dock Stool gives you the freedom you have been waiting for to choose how high or low you want to sit in the water.